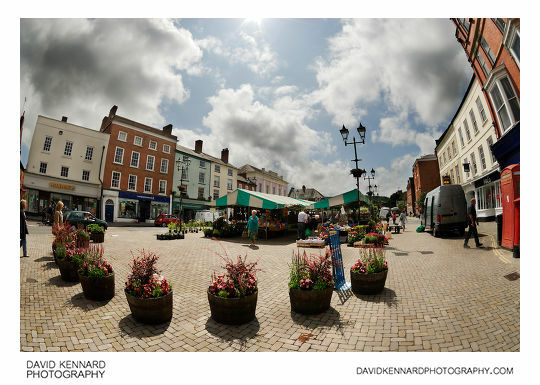 Ludlow is a market town in Shropshire, I visited it during the summer while on holiday in Shropshire with my family. 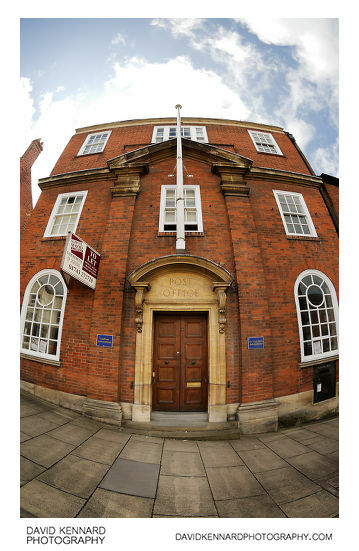 We started off on Corve Street, and walked up past the Old Post Office (amongst other buildings) to the Bull Ring. We then walked along King Street. There seems to be interesting buildings everywhere in Ludlow, it has nearly 500 listed buildings. Castle Square is where the market is held. Just off the square is the War Memorial. I'm not sure what the story behind the War Memorial is (e.g. 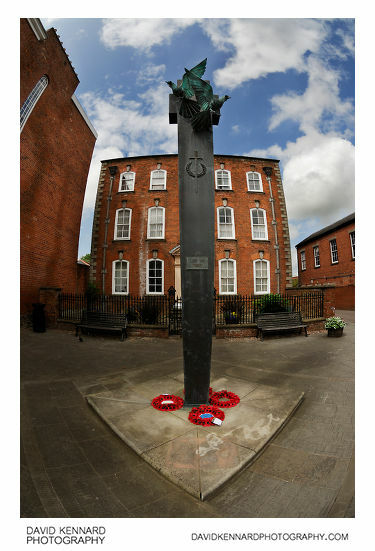 if it replaced an older War Memorial), but it looks quite modern. And as you might have guessed by the name 'Castle Square', Ludlow Castle is just off the square. Ludlow Castle has quite a history, being built in the 11th Century by Roger Lacy, one of the Marcher Lords tasked with guarding the border with Wales. In the 13th Century the Castle was captured by Stephen, King of England. It also played a part in the War of the Roses and the English Civil War. 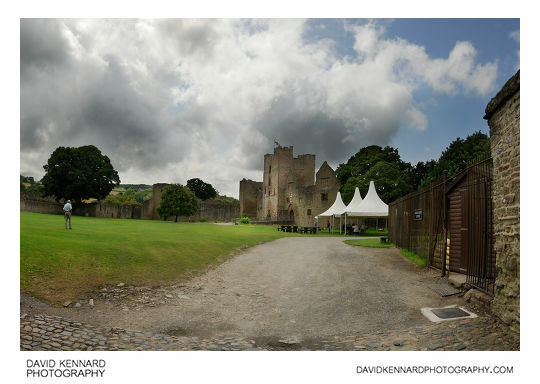 More information on Ludlow Castle: Wikipedia Official website. 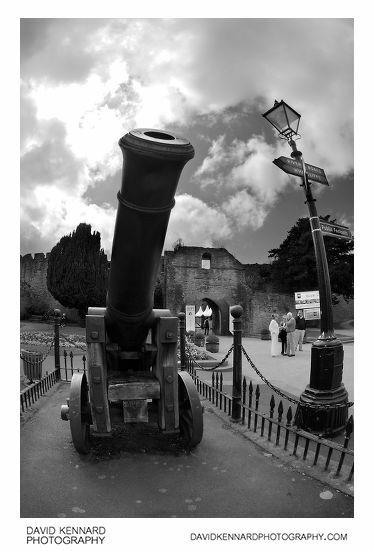 Outside Ludlow Castle they have a cannon captured from the Russians during the Crimean War. We didn't spend a long time in Ludlow, so we didn't bother going round the castle (plus you had to pay). But we did walk round the outside of it. 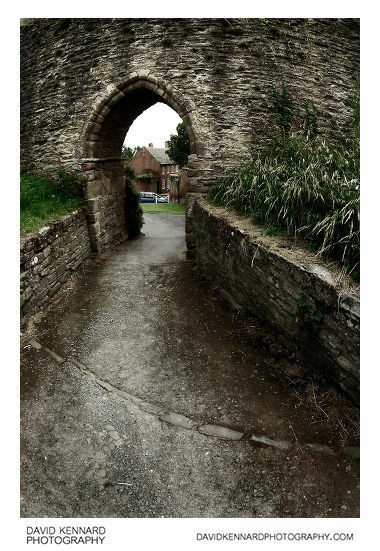 After walking round the outside of Ludlow Castle for a bit, we walked down Dinham, then turned left down Camp Lane. We walked up Mill Street, back towards Castle Square, then it started raining so we went into St Laurence Church to shelter from the rain for a bit. 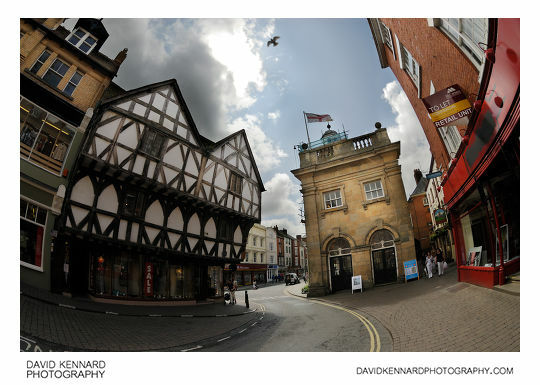 Photography wise, there's plenty to photograph in Ludlow. Since I was mainly taking photographs of buildings, and didn't really have time to change lenses while walking around with the family, I used the Tokina 10-17mm/3.5-4.5 fisheye zoom lens for my photos. The dynamic range of most of the images was greater than the camera could capture, so I bracketed all my shots and then blended the exposures in post. More information on Ludlow: Wikipedia ludlow.org.uk.